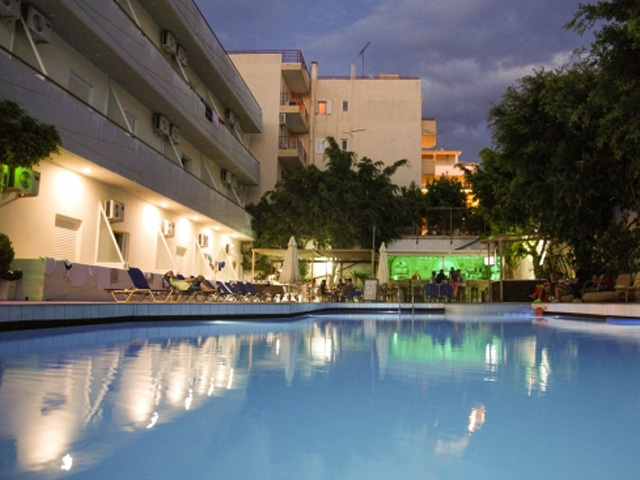 Open: April to October...Situated in one of Crete’s most popular holiday destinations the “Pela Maria hotel” is centrally located in the colourful Hersonissos. 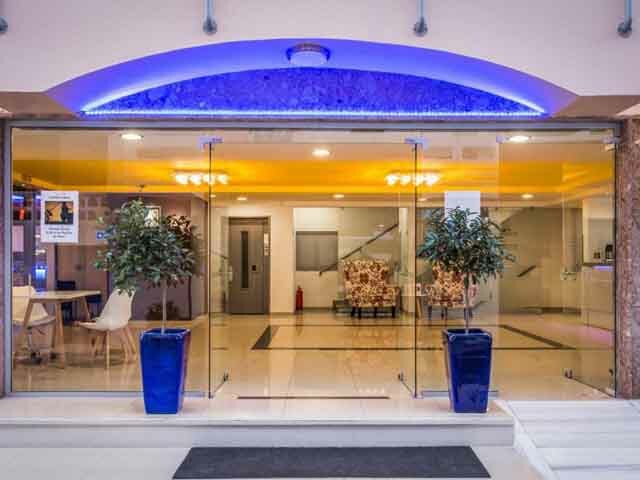 Open : May to October ... Dimitrion Hotel is a modern style hotel situated in the center of Hersonissos Town,only 50 meters from a Sandy Beach, and 25 Kilometers from the Cretan Capital Heraklion and the airport . Open April to October ... 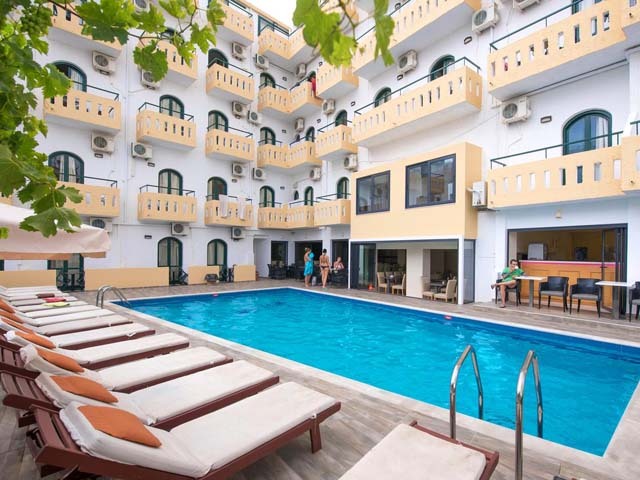 The complex Kassavetis Hotel I is located at the heart of Limenas Hersonissos right in front of the central road and the beach, includes two hotel units providing luxurious and spacious Studios and Apartments. 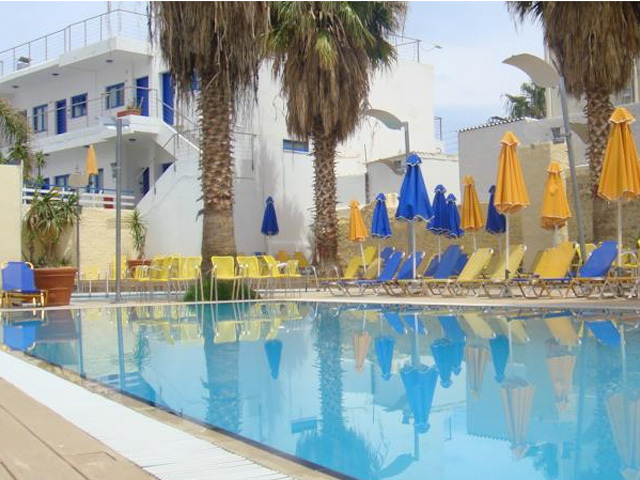 Open May to October ... Agrabella Hotel, OFFICIAL B CLASS, 3 STAR RATING (N.R.S) is situated in the center of Port Hersonissos, on the northern shore of Crete, where the turquoise waters of the Mediterranean Sea beautifully blend with the vast blue sky.